Melting Point 530-560 Degree C (approximately). Welcome Impex Pvt. Ltd. was established in 2009 with a vision to trade in a broad range of Nonferrous and minor metals products and bring value to our partners by offering a complete solution for their needs. Our extensive knowledge and experience of worldwide markets, products, logistics, documentation, languages and cultures allow us to minimize the risks for our customers as well as expand markets for our suppliers. By applying technical, commercial, financial and political insight, we bring expertise in every aspect of the business. Our zeal has enabled us to carve a niche in this industry. 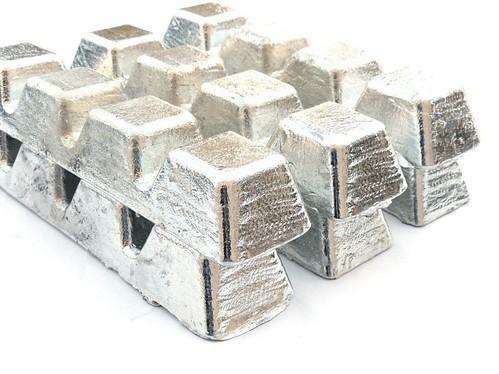 We currently supply products Low Melting Alloy, Solder Alloy, Aluminium Based Bearing Alloy, Babbitt Alloys, Aluminum Joining Solder Alloy, Bronze Ingots, Tin Master Alloy, etc.